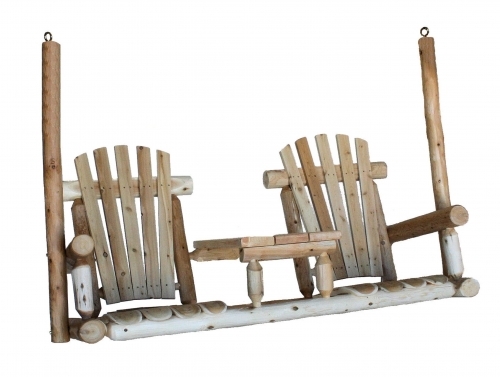 The Lakeland Mills 4′ porch swing, will enhance any porch or deck. 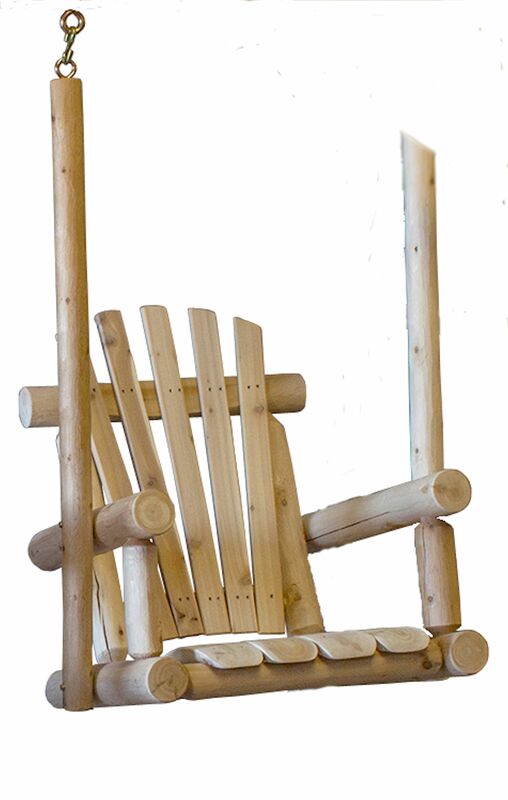 This sturdy swing is made from Northern White Cedar, which is known for its strength, longevity, and its resistance to decay and insect infestation. The stabilizing logs, or swing bars, that we use in out designs insures that your swing stays at the perfect tilt. This gives the user maximum comfort and safety. No need to worry about kids swinging too hard and flipping backwards. Our specially designed contoured seat slats put the ‘Ahh’ in comfort. 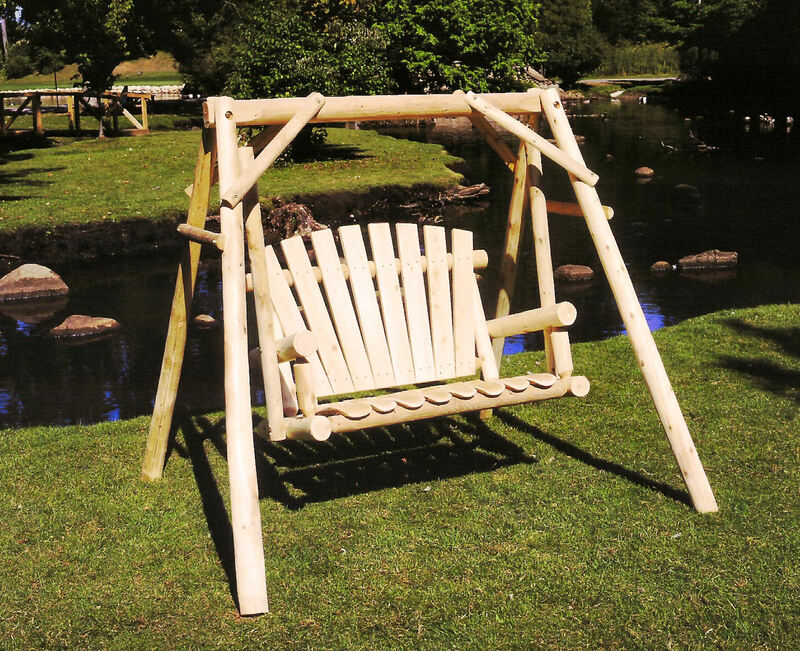 We dare you to find a swing seat as comfortable as ours, without having to use a cushion. Our ends are rounded and sanded so as not to cut into the backs of your legs or knees. These swings are so comfortable, that to sit in one, is to want one. 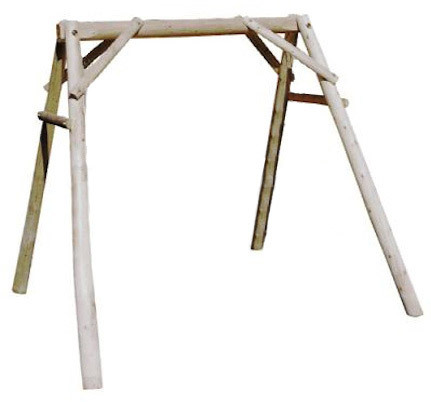 These swings can be finished by the customers according to their own preferences. Or, they can be left unfinished to weather to a beautiful silver grey. The cracks, or checks, only add to their rustic appeal. Checks and cracks are not considered defects, they are the natural phenomenon that occurs when the logs dry and season. They do not affect the strength or durability of the log. There may be other swings out there that resemble Lakeland Mills, and they may even be cheaper. 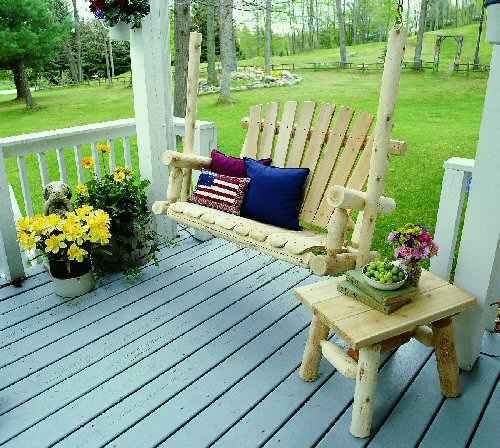 But, because ours are made from 100% cedar, they can last anywhere between 10 to 20 years. Swings made from pine could last 3 to 7 years, and swings made from Chinese Fir may only last for 1 to 3 years. Chinese Fir is not rot and insect resistant, and must be fumigated before even entering the United States. Even with that, there is still no guarantee that all bugs or larva were killed. Is it worth the possibility of releasing these insects into our eco-system. 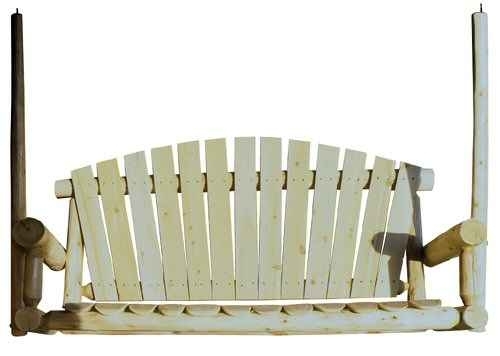 Our porch swings are shipped partially assembled, and includes detailed step-by-step instructions and a set of hardware to finish assembly. 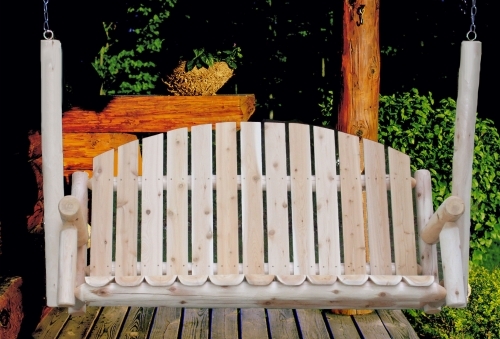 Our swing can be finished with a quality penetrating oil, or left to weather to a silvery grey color. Many, or most of the logs will have cracks. These cracks are called checks. Checking occurs when the logs dry and the cells shrink causing the wood to split. This does not weaken the wood. 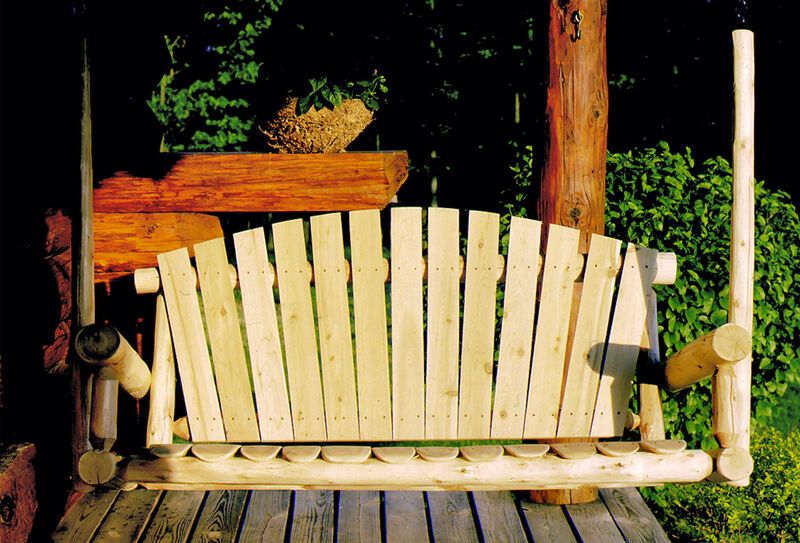 Checking helps give cedar furniture its rustic beauty. **4′ A-Frame and chains sold separately.